So you've sourced your grass-fed meat, organic vegetables and whole grains for a healthy, balanced dinner but have you considered which cooking oil you'll use? Increasing healthy fat in your diet by using specific culinary oils not only helps protect your brain, heart, and cell health, it can also help you absorb more nutrients, burn more calories, and lower cholesterol. If you already use olive oil to dress salad and sauté meat, you're off to a good start but just like the more colourful vegetables you have on your plate, the more variety of culinary oils in your diet, the bigger the health benefits. Cold Pressed Olive Oil There's seemingly no end to the health benefits of olive oil. It's good for your heart, high in healthy monounsaturated fats, and it just tastes so good. 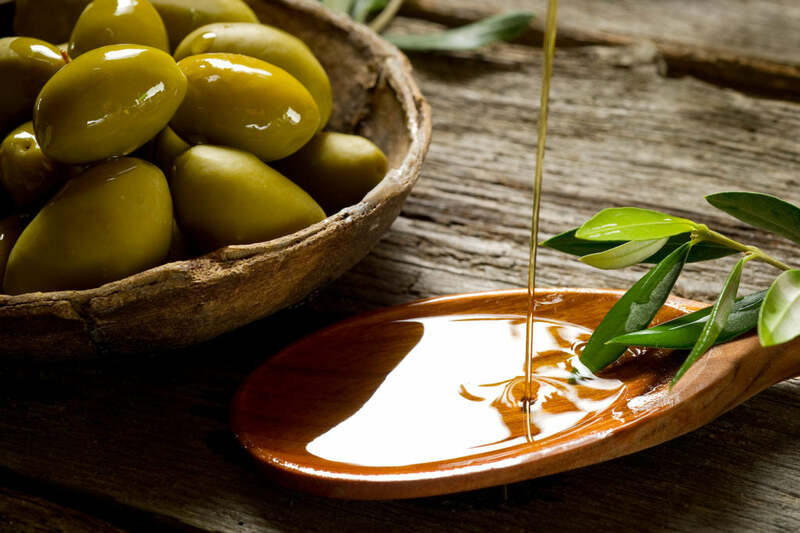 But the healthiest high-quality, extra-virgin olive oils don't handle heat well, so it's best to reserve them for salad dressings, in dips or drizzled over cooked meat and veg. Lower-quality refined olive oils that can withstand high heats (sometimes labelled "pure" or "extra light") have been heavily processed using heat and chemicals and contain as much as three times less of the polyphenols and antioxidants that make extra-virgin olive oil so healthy. Cold pressing refers to the fresh olive fruit and seeds being pressed and ground with large granite millstones or, in modern industrialized systems, with presses made from stainless steel. Cold pressed oils retain all their flavour, aroma, and nutritional value. Coconut Oil Coconut oil, being mainly a saturated fat, is able to withstand higher temperatures than other oils, making it one of the best oils for cooking. Saturated fats not only increase the healthy cholesterol (known as HDL) in your body, but also help to convert the LDL “bad” cholesterol into good cholesterols. By Increasing the HDL's in the body, it helps promote heart health, and lower the risk of heart disease. 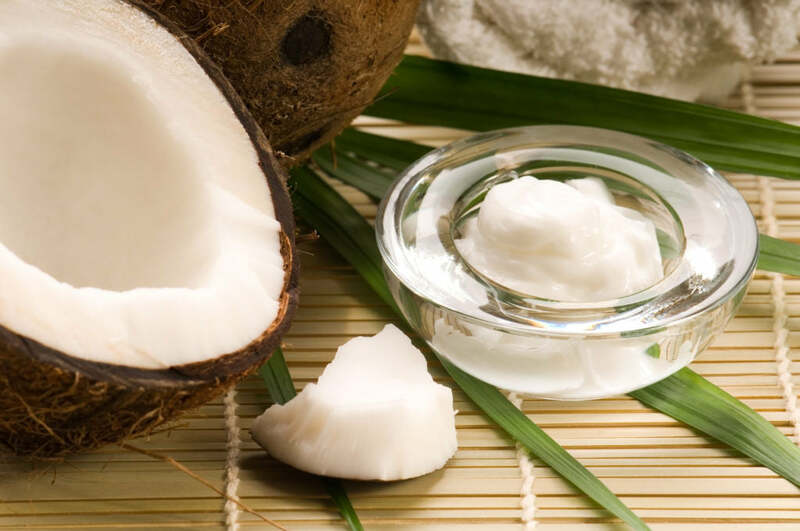 Additionally, coconut oil contains high levels of medium chain fatty acids (MCFAs). MCFAs are metabolised differently – absorbed and used in the liver as a source of energy. The best kind to get is organic raw unprocessed extra virgin coconut oil. This will assure you that your product is unrefined, certified organic by USDA standards, and contains no added chemicals or additives. Tip: A deliciously tropical taste and high smoke point make this oil ideal for curries, baked goods, and soups. Blitz a teaspoon into your morning smoothie or even in your coffee. 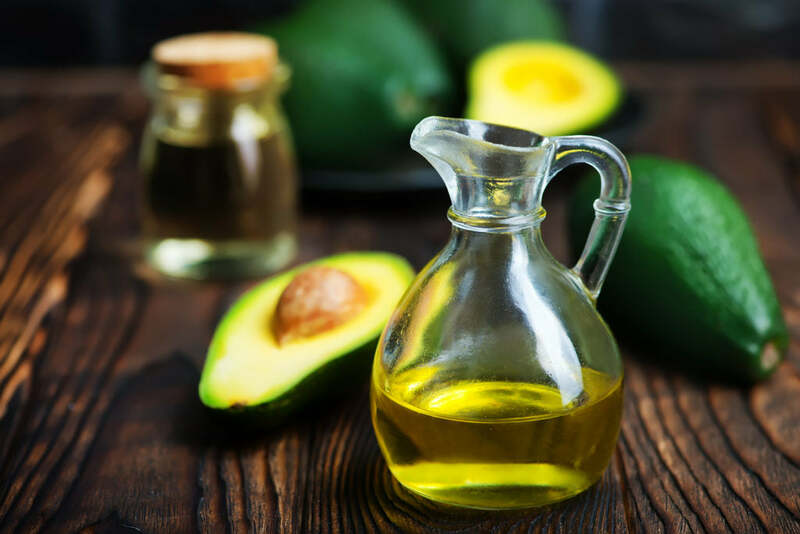 Avocado Oil An emerald green oil made by cold-pressing the flesh of ripe avocados, this oil ranks right up there with olive oil as a rich source of heart-healthy monounsaturated fats. It’s also rich in vitamin E, plant based omega-3 fats, and beta-sito sterol, a potent cholesterol lowering agent. The beneficial compounds in our food are called carotenoids, found especially in brightly coloured vegetables and fruits. Carotenoids rely on dietary fats for absorption but most foods high in carotenoids are naturally low in fat. This fruit contains high quantities of unsaturated fatty acids. In the study, both high and low doses of avocado oil enhanced alpha-carotene, beta-carotene and lutein absorption from a salad by as much as 15 times, compared to a salad without avocado oil. Tip: With a medium-high smoke point, avocado oil is ideal for grilling meat, sautéing vegetables, and searing fish. Stir it into soups, or even drizzle it over pizza. 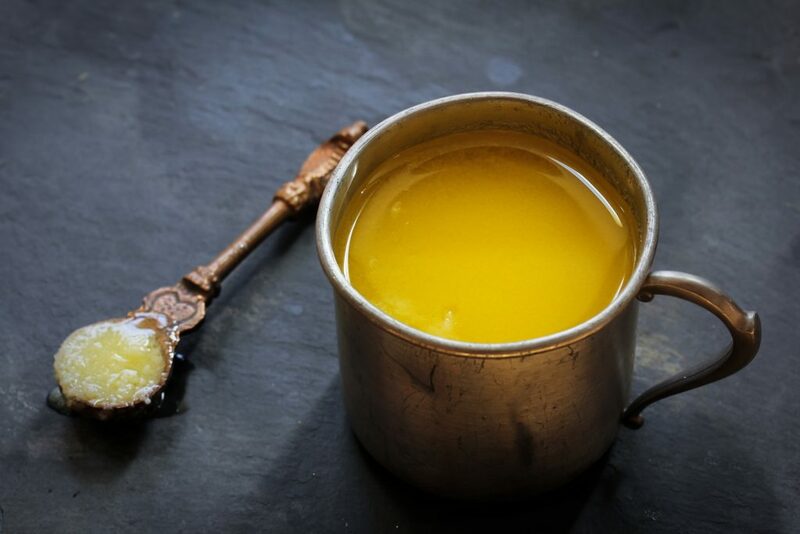 Organic Ghee Traditionally used in Indian cooking, Ghee is essentially clarified butter, made by melting down butter until all the water evaporates and just the butter solids are left. The process concentrates the conjugated linoleic acid, a healthy cancer-fighter, found in butter. Ghee has a unique nutrition profile without any lactose or casein, but rich in short-chain and medium-chain fatty acids and butyrate. Butyrate, or butyric acid, is a short-chain fatty acid that acts as a detoxifier and improves colon health. It’s been shown to support healthy insulin levels, is an anti-inflammatory, and may be helpful for individuals suffering from IBS, Crohn’s disease and ulcerative colitis. For people who are lactose or casein-sensitive, they can use ghee because the process has removed these allergens. If you’ve been told to stay away from dairy and butter, experiment with ghee made from grass-fed beef! Tip: The key to good ghee is making sure it's organic - When it comes to animal fats and dairy products, all the environmental toxins are concentrated in the fat.